Is It Time to Kill The Cold Call? In my efforts to stay abreast of what is going on in the world outside my office, I follow the thoughts of several sales training and consulting organizations. Over the last couple of weeks I’ve seen a significant increase in the chatter surrounding cold calling. While everyone has had a slightly different take on the practice, the thoughts were probably best summed up by @solutionselling’s blog post: Cold-Calling Beats Aggressively Waiting by the Phone…. EVERY TIME! When I first got into selling, I wore my ability to cold call as a badge of honor. I remember when I started at Merrill Lynch, a good day was when I made 300 calls in a day, and on my “best” day I made 500 dials. I look back on my “smiling and dialing” days much the way a high school football player looks back at their “great” plays. But, I got to thinking. I’ve built (IMHO) a pretty good business over the last five years and I haven’t gotten a single client from cold calling. When I look at the best clients I got when I was at Merrill Lynch, not one came from cold calling. Don’t get me wrong, cold calling has certainly helped me in my sales career. But, I wonder if it hasn’t caused as much harm and it has helped. So, I ask you, Is It Time To Kill The Cold Call? We first need to define cold call. There is absolutely nothing wrong with making a first contact by phone with someone who may not know you. If you are making that call with purpose, you’ve done some research on the company, you have a least a hypothesis of the problem they have that you can help address and you have a dynamic, multi-pronged account entry strategy to support that call; then I would not define that as a “cold” call. Let’s call these initial calls. In reality, if this isn’t the sole part of your job, you may be able to make 5 of these types of calls a week. A cold call, in my opinion, is where you deliver a generic message to a defined (or not) group of people in an effort to generate interest. You know little to nothing about the potential customer and you script yourself (whether written or not) to create a “lead.” With this type of call, you can make a virtually unlimited number of calls.. There is absolutely no tactic that can be taken on the part of a salesperson that will lead more immediately to creating a sales opportunity than cold calling – NOTHING. So, I agree with the post above that cold calling is far better than waiting for the phone to ring. The reason for this is that cold calling allows you to cover significant ground faster than any other tactic. By the nature of its force, you are able to shake opportunities loose. Now, these are not always (actually rarely) the best opportunities nor best positioned, but they do create opportunities faster than any other tactic. The post I referenced tells the story of a sales rep who continued to cold call a prospect for 18 months. My experience is that this rarely works – and I would challenge the rep with what he could have done to accelerate the process if he hadn’t relied solely on cold calling (and if he didn’t rely on solely on cold calling, then that goes against the author’s argument). Cold calling creates a lot of negative equity. Much has been written about interruption marketing, and I won’t re-hash the arguments here - they’re easy enough to find. While cold calling can thrust you into opportunities, it can also really irritate a lot of people and diminish your authority. Cold calling takes a toll on the salesperson. There are two types of people in the world: those who hate (or at least don’t like) cold calling – and those who lie about it. Cold calling is monotonous and forces a lot of rejection. No matter who you are, that eats energy. There is little leverage in cold calling. It works only as long as you are working on it. There are few, if any, strategic byproducts that come from it, and the only chance it has of working is if you continue to do it. If you get busy and can’t follow up on your calls from “3 months ago” as the post above referenced, you are basically starting all over again. What is it that they say about the first impression? Well another problem with cold calling is that it is the junior people who most often do it. Cold calling itself doesn’t require any unique skill set, however, managing the unexpected opportunities that arise in conversation does. So often, a very high-value salesperson is forced to do a low-value activity. I could go on, but I think my opinion is becoming clear. That said, I do realize the underlying, even if un-desired, need for tactics such as cold calling. So my answer is that it’s not time to kill the cold call, but it should only be used as a tactic when absolutely necessary. If you are a salesperson responsible for more than just lead generation, your goal should be to get in position so you NEVER have to make another cold call within 18 months. Cold calling should be no more than a secondary or tertiary tactic within 12 months. If you are a business and you need this for lead generation, develop a highly specialized individual or team that is responsible for doing this – and doing just this. This becomes a marketing function more than a sales function. 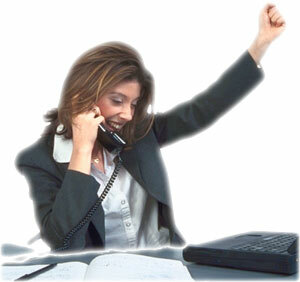 Additionally, you should hire a research assistant to develop more of the cold calls you are making into initial calls. What do you think? Is it time to kill the cold call? What changes do you think we need to make to this tactic?